Home / Home Remodeling / Adding a Deck or a Patio: Which Would Work Best for You? 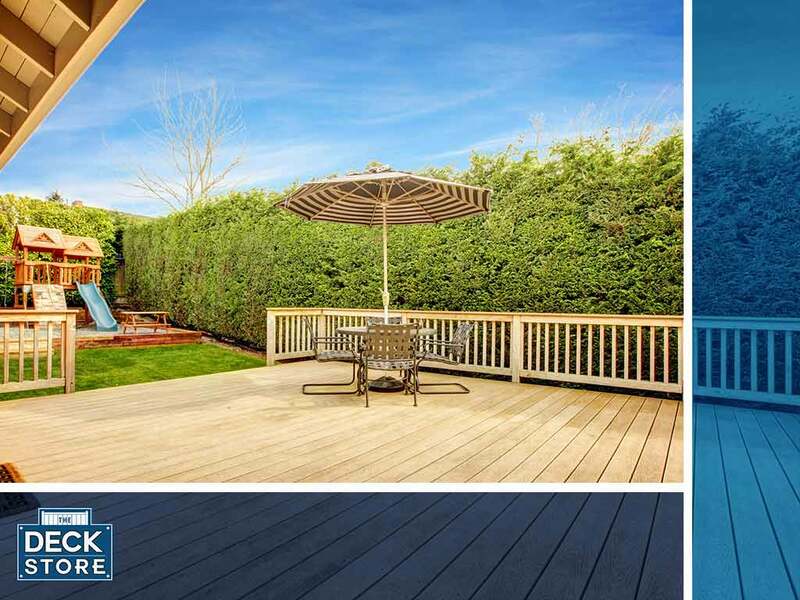 The Deck Store, your local remodeler in the area, is here to discuss both options to help you make the right decision for your home and your family. Decks are built with wood as the main material, with cedar, pine or redwood the most common choices. Your deck can be either attached to the home or can be a standalone outdoor feature. Most decks are built above high ground, which is why they are required to have railings. Doing so helps enhance the view. Plus, it prevents damage to the structure due to tree roots and soil movement. Because decks are made of wood, they require regular maintenance. However, there are now options that make maintenance easier and can help decks last longer. Some wooden decks can be treated with all-weather stains and finishes. Custom decks can also be built using composite or vinyl for better performance. A patio is an open space that is mostly situated on the ground. Patios can be built with a combination of materials, including concrete, gravel, stone, brick, rock or pebbles. Like decks, they can be either attached to the home or can stand on their own. They are highly versatile outdoor areas that can take on any shape, as long as their design and orientation take into account the surrounding landscape. Patios can be built on a flat surface, though they can now be built to a certain height using retaining walls and multi-level systems. Fences, panels and trees can be added for better visual appeal and privacy. Turning a useable outdoor space into a deck or patio is one of the best home improvement decisions homeowners can make. Planning this project requires the expertise of professional remodelers, like The Deck Store. We are the patio and deck installer to trust for beautiful and well-functioning outdoor living spaces. Call us today at (701) 223-1008 to learn more about our services. You may also fill out our contact form for a free, no-obligation quote. We serve Bismarck, ND.